Have you ever witnessed change in an organization or a business that didn’t work? Perhaps when it was introduced people got angry, stated how ridiculous it was and even claimed it would never work? Conversely, have you witnessed change done really well? Where people embraced change and were able to agree that their current way of doing things was in need of improvement? The difference between these two scenarios is generally the result of successful change management, more specifically a step called unfreezing. Unfreezing is just one of three steps in the Lewin’s Model of Change Management, and probably the most important principle you will ever learn as a business coach. Businesses need to continually improve and to do this they need change – otherwise a business will stagnate. If a business fails to change, then they can become very noncompetitive. It is important to identify possible resistance and determine strategies to break down this resistance. Unfreezing – This is about unsettling the status quo, making people question whether the present situation is suiting them. As coaches, we do this through asking the right questions. 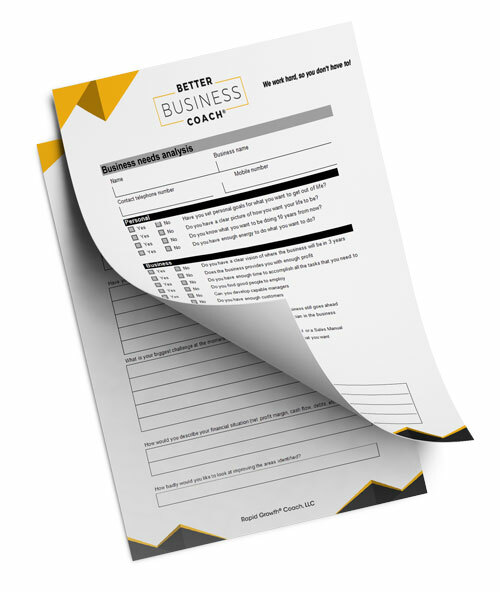 The Business Needs Analysis discussed in session seven and eight, as well as many of the worksheets to come, is designed to really unfreeze the status quo. They push our clients to think about things, and supported with the right frameworks, they are then ready to make the change. This is a very important step in the change process. Miss this step and the change won’t work as people will never accept it. Changing – When the desire for change is there and we have made the appropriate shifts in the person or the business owners we can then put the change in place. We do this by introducing the right values, attitudes, behaviours, systems, training and communication to support the change. Refreezing – This is to make sure that the change sticks. If a change is not refreezed in the organization and embedded in the culture, then they will go back to the previous situation. Support the new behavior with praise, reward, and recognition of improved performance. Hello everyone, and welcome back to Better Business Coach. My name is Matthew Pollard and, as always, I am your Rapid Growth Guy. Today will be talking about the three steps to simple change management, or what I’ve discussed several times throughout these sessions as the Lewin’s Model of Change. Now, this specific session is absolutely vital to your coaching success. See, without the ability to create awareness with your client that things perhaps aren’t as great as they could be now and motivating them to create change within the organisation, and to motivate the staff to create change within the organisation, you are going to find your ability to coach clients so much more difficult, and your success with those clients is going to be so much more limited, because you don’t know this simple concept. And when I tell you it’s simple, guys, I mean absolutely simple. Now, I’m sure within your own personal lives or your work careers you have fallen victim to an unsuccessful change management process, where a new system had been implemented, a new process had been implemented, and most people got angry by it and thought it was just ridiculous. And it just affected your life in an adverse way, and I’m sure it was even stressful. And generally this is all because people did not follow these three steps that were going to talk about today. Other times, you’ll see where changes implemented in the system or the process are just embraced, and people think this is going to improve their lives and a lot of times are actually looking forward to that change; meaning, a lot of times, that’s purely because people were notified beforehand, they felt involved in the process, and that they were sold, if you like, the idea that this is going to make their lives truly better. I know that this simple differentiation seems basic; however, it makes drastic effects to the success of any implementation and implementing change in a business is so, so important. See, if we don’t improve as a business, then our competitors take our clientele. We can’t compete on price, we don’t deliver as well as other people do, our product quality perhaps isn’t even going to be as good as our competitors. So, as a business, if we don’t change, we’re going to get left behind. So embracing change as a business owner or as a staff member is vital. For you as a business coach, making sure that this occurs is actually vital to your success as a business coach. 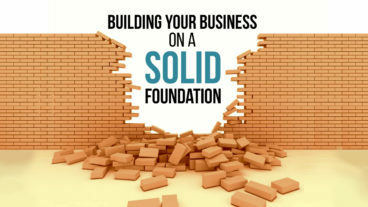 But also vitally important to making sure that the businesses you’re working with get success so that they can continue to afford to pay for you and will be motivated to pay for you because they will see that you’re the one that is responsible for the successful implementations of all of these ideas. The worst thing in the world for you as a coach is to implement something where a business owner sees you as the reason for why it didn’t go well, or sees you as the one that is causing all the trouble and all the torment within their business because you always are lamenting things that people are getting their back up about. So implementing this three-step process is so, so vital for you. Implementing things so that they see you as an asset rather than the tormentor of their lives. So, let’s quickly just look at why business owners need to change. The first one’s obvious: they’re not profitable. And if a business owner is not profitable, they need to implement change to increase productivity, increase profitability, increase sales, or create better marketing to allow for additional profit or additional revenue that will create that additional profit. That’s the first one and obviously that’s the most basic of reasons for why businesses need to change. The next one is the staff are not performing. Obviously, if you’re not getting the effectiveness out of your staff that you need, you need to implement systems to improve that. The third one, as we touched on before, if you’re not innovating your’re being left behind. So, you need to implement change to make sure you’re keeping up with your competitors or excelling past your competitors. And I’ve seen so many businesses that try and stay away from change and they get left behind they end up going broke. Even an industry as simple as polishing slate, or doing plumbing, there are technologies for getting your clients to book online, there are technologies for accepting payment on your mobile phone or your cell phone. And if you don’t start to take these on, you’ll get left behind because you can’t afford to compete on price and you can’t work as effectively as your competitors. And your customers will notice this. And that’s a good segue to the next one: losing market share. If you’re starting to notice that you’re losing customers, you need to implement change because, obviously, they’re going to a competitor that does something better, different, or more innovative than you do. So, you need to implement change to, again, keep up and excel past them. The last one is more for medium to larger businesses; however, if you’re not coaching somebody like this now, trust me, you will. And is important that you absolutely embrace this three-step model before this ever happens. And that is mergers and takeovers. Without the help of a business coach or a change management specialist that will help people embrace the fact that the two companies are merging, you get absolutely horrible results. People get scared of losing their jobs, people get scared of system changes, people get scared that everything in their world – their importance – is going to change, there are horrible things that can be attached to this in the mind of everybody that’s involved. So, when we look at mergers and takeovers, I’ve seen such different implementations where all organisations on both sides are so, so excited about the merger, and others with their protesting, striking, sending emails to directors and shareholders saying “please don’t make this happen. I don’t want to lose my job!” So the implementation of an effective change management strategy for a merger or an acquisition is going to earn you big dollars if you can be part of that, and if you can assist that process in a positive way. So, let’s take a second to look at who could possibly resist change. Now, most people would suggest that employees and managers could resist change. What would surprise you, though, is a lot of times business owners themselves, even though they’re paying you to implement change and increase the productivity and profitability of their business, may still resist change themselves. Shareholders may resist change. Customers of your clients may resist change because they like the current process. Sometimes, if you implement a new online payment process and they’re used to paying by check, or used to popping into your store, which requires additional service staff on your behalf, they may resist that change because it’s something different. People don’t like change unless they’ve been unfrozen to it. So don’t think that this process just applies to the employees or the managers of an organisation; it also applies to so, so many more. 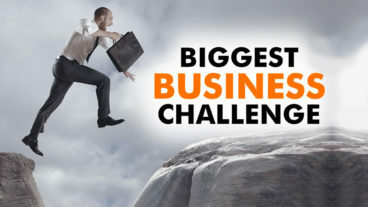 I have even seen these problems occur when suppliers resist change, because they earn their money off you and they’re worried by implementing a change you may not order as much, or things may not work out with your business, or business may go broke, and, as a result, they don’t have an order anymore. So I’ve seen when suppliers, because they have been involved in this change management process, start to message to your staff that they should talk to management about rejecting this change and implanting fears into the minds of your staff and management team about why they shouldn’t go about taking on any forms of change that you’re suggesting. So, you need to make sure even suppliers are involved in this process that we can be talking about. Then you’ve also got the government and community groups. Obviously if you’re opening up a Starbucks Coffee in a quiet suburb, you’re going to get community groups that are going to get upset with this. Obviously this is a very, very obvious one. But there are so many less obvious things that could possibly cause government and community group frustration unless, again, you get them involved in this three-step process. Why People Resist the Change Management Process? So why don’t people like change? The first one is uncertainty and unfamiliarity. Shareholders are used to getting a specific return; therefore, if you change something, they’re worried that that return may go down. Yes, it may go up as a result. However, if you change nothing, they get what is familiar as opposed to what is unfamiliar. Same works with employees and managers. They know that if they do certain things in a system right now, or if they deal with customers in a certain way, the process or system that you currently have will do one thing. If we change the systems and the processes – or anything really – then all of a sudden they have uncertainty. That creates unnecessary stress in their mind and that can become a problem for them. So that’s why they start to resist or don’t like change. and there are, obviously, for each one of these levels – for customers, suppliers, for governments and community groups – each one of them have their own reasons for why they don’t like change in anything that you do. Especially, though, for staff and managers: they can feel like their past performance is being criticised. And this is absolutely key to change management. You need to make sure that everybody sees it in a positive light. You’re trying to improve things, to make sure that their lives get better. If they feel they’re being criticised, they won’t take on the change that you’re suggesting, they see it as a punishment. As we all know when we punish our kids, when we send them to their room, what do they want to do? They want to come out of their room. However, if they’re in their room playing, they could be in there for hours. As long as it’s not a punishment, they’ll be happy to be in there. And with staff and management, we need to make sure that when we implement change we don’t create it like a punishment or a criticism of what they currently do. This is actually vital to the success of any change management. But this is why a lot of people don’t like change: they feel like they’re being criticised. the next one is they can’t see it working for you or for them. And this fits a lot of employees and managers when you implement new systems. For instance, I’ve seen it happen a lot with implementation of SAP systems – which are high-level enterprise management systems – where they’re currently used to their silo-based software systems that work for them, and now all of a sudden they’re moving to this completely new thing that just looks so, so different, and doesn’t seem to have any of the working parts that they perhaps have customised within their own specific silo. And they think it will work, they’re scared that it won’t work, and so they can resist the change. And a lot of it is because they’re protecting your client’s organisation because the last thing they want is the organisation to go broke and them losing their job. Obviously, they’re also running away from stress. But this can be as simple as a change of a sales script. They may think it won’t work and, as a result, it will lower sales, and that will lower their commissions, perhaps. And then they do want to use it. So, regardless of what you say, unless you change managed it correctly, they won’t embrace that change, and they won’t like to roll that out. They will still do it because, again, they are your employees; but their motivation levels will be limited, they’ll start telling you reasons why it doesn’t work, and they’ll be hoping it doesn’t work which is the last thing you want to have for a successful implementation. And the last is distrust of management. And this you will find happen a lot within the first months of coaching a client, because they may not have implemented other changes well in the past, it may have heard people, people may have lost jobs in the past, because the business owner did certain things, and there’s just a huge level of distrust there. So it is vital, especially at the beginning, that this Lewin’s Model of Change is done successfully. Otherwise everybody – all of the people left, staff, shareholders, customers, and suppliers – may fear any change because they distrust that it’s going to work. So, obviously, a lot of the times when we talk about resisting a change there’s a lot to do with shareholders, and customers, suppliers, governments, and community groups, but the primary is going to be employees. So, what are the types of changes that they tend to resist the most? The first one is any change to workplace culture. That’s going to change the way they enjoy their job and the way they interact with other people within their organisations. Any change to that they’re going to want to resist unless it’s changed correctly. Training is another one. You’ve got to be very careful to make sure that they don’t feel that they’re being criticised. So if you start implementing training, it’s all got to be about improvement, to make things better. Again, change management is so, so important with that. Any change that will make them feel like their relationships are being threatened. For instance, if you change their manager, they may have a good relationship with the current manager and may fear that their next manager may not like them as much, or may not trust them as much, may not empower them as much, and that is going to create a huge level of resistance. When they feel like their status and power are being threatened. Now, this is huge. If you feel like you’re getting a demotion, or if you feel like you’re getting put in a silo part of the organisation where you can’t cause any more trouble, these are all going to be reasons why staff have a massive issue with change. We need to make sure that we manage that correctly. The next one is traditions being changed. Organisations, a lot of time, have traditions that stem back years and years, and they may not be to the benefit of the organisation anymore. In the past, it may have been something that they were proud of, and it may have been something that pushed the organisation to success; however, now, it’s getting in the way of making the next step. When you try and change them, though, people may have identified with that specific tradition, and changing it may be something they don’t like. So focus on change management. The next one – and this is major – staff feeling like they may fail in the new environment. “What if I can’t use the new CRM?” “What if this sales process doesn’t work for me?” “What if customers complain more because I make mistakes?” “What if my manager feels that I don’t achieve and I don’t get my KPIs or I don’t get my end of year bonus?” because of this (in their mind) ridiculous, crazy change that won’t help them because they haven’t been told why it’ll help at this stage. Lack of commitment is the next one. If I don’t feel that it is going to benefit me, I am going to do the bare minimum to help you implement this change. So, if you ask me to do something, I’m going to do it to my absolute minimum ability, get done quick, and move on with my day, and it’s going to limit the success. So we need to make sure they understand why we are making this change. Again, as we discussed before, they may worry about the fact that the change won’t work for them. And other people are just too lazy. They like the way it is now, they like flying into work, doing the bare minimum, then leaving as quickly as 5 o’clock hits. And implementing a change could stop that, and that’s the last thing they want. So they will resist this change because it might make their life harder, and that’s just not on as far as they’re concerned. The best way to identify who is going to resist the change and who are the key people you need to work with to make sure you get success is by asking yourself this question, and then asking the client the same question to make sure that all people are identified. And that is: Who will lose power and prestige or income as a result of this change? Okay, so let’s go through the model. 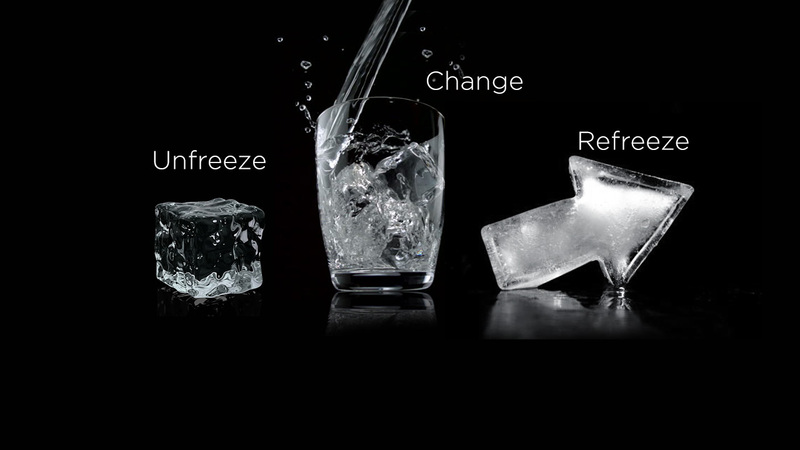 The Lewin’s Model of Change is three steps: unfreezing, changing, and refreezing. Now, unfreezing is the most vital part, and we did cover that a lot when you’re trying to coach a client, to get them to identify, or get them to become aware that they need change by going through the Business Needs Analysis in Sessions Seven and Eight. (And if you haven’t downloaded that document yet, it’s available at matthewpollard.com/007.) However, unfreezing, or step one, is about unsettling the status quo, making people question whether their present situation is actually suiting them. It may have suited them in the past, but getting them to question whether or not it suits them now. And it’s all about asking the right questions. And for the business owner, that’s why we use the Business Needs Analysis. It’s so, so vital in the unfreezing process with them. It’s probably the most important step – and the most forgotten step – in any change management process. Most people do change and then tell people why it’s so, so great; but, they don’t unfreeze them to the fact that they may want to change. They don’t let them know that things may have the ability of being better. They just implement the change. So this is the step not to miss. It should be done weeks, months before. As soon as you can start the unfreezing process, the better. The more time – and I’m not saying delay changes – however, the more time you can give to people to become used to changes, become excited about changes, and help them understand how it a.) going to benefit their lives, and b.) help them overcome the problems they’re currently having with what they’re doing, the best it will be, the more success you will have with implementing any change. If you miss a step, people won’t accept that. People will reject it for all the reasons we discussed before, for all of the fears that we discussed before. Okay, so the next step is changing, and that’s when the desire for change is there, and you can then make the appropriate shift. Now, I know you’re expecting me to say “then you implement the CRM system,” “then you implement the new sales groups.” And that is true: this is, the stage where you do that with employees; however, there are other types of changes that you can implement. For instance, you can change values, attitudes, behaviours. You can introduce new training. You can help them understand better levels of communication and get them to embrace that. You can help them learn the value of supporting people. There are so many things you can implement during this changing process. So the unfreezing is not just about saying “we’re going to introduce a new CRM system.” We could be talking about the fact that our corporate culture isn’t where it needs to be, and getting them to understand that, and then implementing new values and behaviours to get the corporate culture where it does need to be in step two. 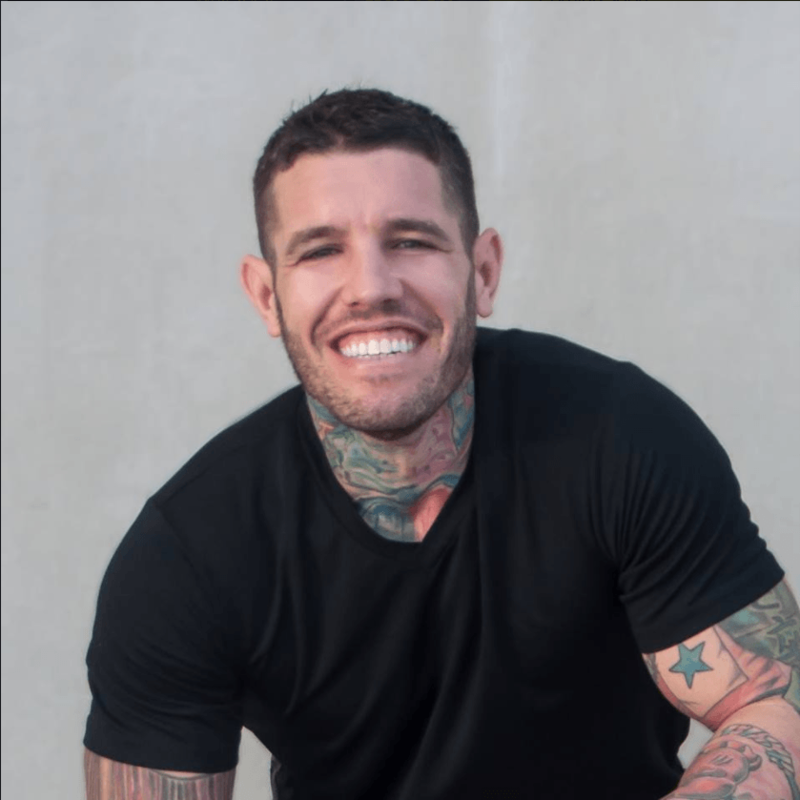 This is really where all the ideas, and all of the visions, and all of the strategies that you’ve created with the business owner are now being implemented to start to transition the business into a direction or heading where it needs to go. The next step is refreezing, or the final step is refreezing. And this is where you make sure that the change sticks. So many people implement change and, as I said, most businesses only purely focus on the change – they don’t do the unfreezing and at the refreezing. And the problem with this – especially with missing the refreezing part of the process – is that the change doesn’t stick. People though buy into it still. They know they have to use a new system, but then they still use the old system. I’ve seen people that have been given new CRM systems in an organisation that still have Excel spreadsheets they use in the back end so that they don’t actually have to use it. So, they’re the only person that physically looks at that spreadsheet on a regular basis. So they have an Excel spreadsheet and then at the end of the month quickly import all the data into the CRM so that everybody knows is aware of it. This is horrible! What that means is nobody bought into the change. And because of that, they’re going back to the previous systems, the previous processes. And you’ll find even with corporate culture if you implement something that is supposed to drastically change the corporate culture, but you don’t follow a refreezing process, people don’t take it on board. So what you need to do is support the new behaviours with praise, reward, and recognition of the improved performance. Now, if this is the business owner, you can be telling them how exciting this is, and how much improvement it has made to their bottom line, telling them they’re going to make a lot more money as a result of this and how happy they should be. You can also tell them how much happier their staff are, and how well they’ve done for actually implementing this in a more successful way. These are intrinsic and extrinsic rewards that will make the business owner so proud of themselves and so happy with themselves that they would never let things slip back. For employees, again, you can give them bonuses on their KPIs or their final year rewards, you can tell them how well they’ve done, you can give away movie tickets or dinners for the family for people who have really embraced this change well. Things that recognise specific people’s behaviours, that focus on acceptance of the new changes as opposed to the people that detract from these new changes. And this is of vital importance for their success. So, to cover off on them one more time very quickly. Unfreezing: making sure everybody wants the change, is excited about the change, wants to move forward with the change, and starts messaging to other people about the fact that they can’t wait for this change to happen. The changing process: implementing the physical change that will improve the business as a whole or the people as a whole. And, finally, refreezing: ensuring the actual change sticks by praising and rewarding the people that were highly responsible for the change’s success. Now, again, this change process is vital to your success as a coach and it is also going to mean that the client you’re coaching are going to be more profitable. What is that mean? They’re able to pay you better and keep paying you as their coach. The staff are going to be more interested in their jobs, so the business owners can make more money, and they’re going to have less stress of staff not showing up, and staff not doing things right because they actually enjoy what they’re doing more as opposed to detracting because this is just another change they can stand. And then, also, you’ll have staff that will excel at helping you make change and they’ll get excited because they’ll see that this progression in the company. Because every time a business improves there’s more staff, and that allows for more progression into management positions. So, this learning the change model is so, so vital to the success of any business, so, so vital to the success of you as a business coach, and helps you increase your rate as the profitability of the business goes up. It is probably the most vital ideology you will learn as a business coach, because so many people make mistakes when it comes to implementing any change, and they lose clients because they were the one who advised this horrible thing for business and now it hasn’t worked and that is your fault. So embrace the Lewin’s Model of Change into your coaching business and watch the success that you will have with it. Thank you again for listening to Better Business Coach Podcast. As always, I am so, so grateful for everybody that has listened, and I really appreciate all the subscriptions, all of the reviews, and all the five star ratings we got. It flew us up to iTunes New and Noteworthy. I really appreciate it. And for those that haven’t yet, please take a second – it really does only take 30 seconds – hop on iTunes, search Better Business Coach Podcast and post your review with the star rating that you feel worthy. I would really, really appreciate it. I’ll see you in the next episode. Thank you very much.